Mix all wet ingredients together first. Then sift flour and baking soda together and gently fold into wet ingredients. 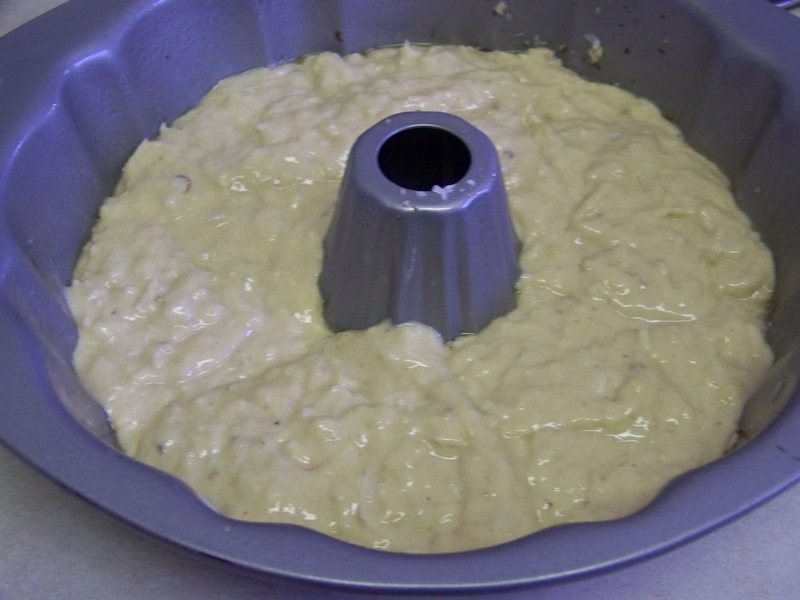 Spray or oil a bundt pan. 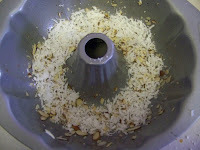 Add sliced almonds and 1/4 cup of flaked coconut to the bottom of pan. Then fill with cake batter. Bake in a 350 degree oven for 45-50 minutes or until fully baked through. Slice and serve. Enjoy. Oh you have really done it with this one haven't you? This looks so great!! what a perfect recipe to use up those bananas! And I bet my husband wouldn't even know it's banana! 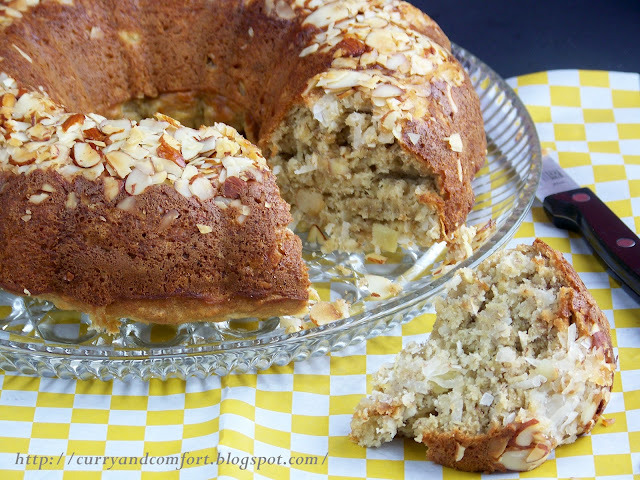 It's a banana pina colada-ish cake! I could eat the whole thing! You made a Bundt cake, too!!! This looks fantastic...of course, I'm all in favor of coconut and pineapple desserts...yum,yum! Keep these banana breads coming!! So, So Good!!!!! Wow, awesome flavor combo! Nice! Never had I thought to add coconut to banana bread. I think I have added ever other add but not coconut. This looks so good; almost like a tropical vacation! This taste of the tropics would be welcome at my house anytime of the year. It looks super moist. This sounds so wonderful. I like the idea of putting the coconut and almonds in the bottom of the pan. 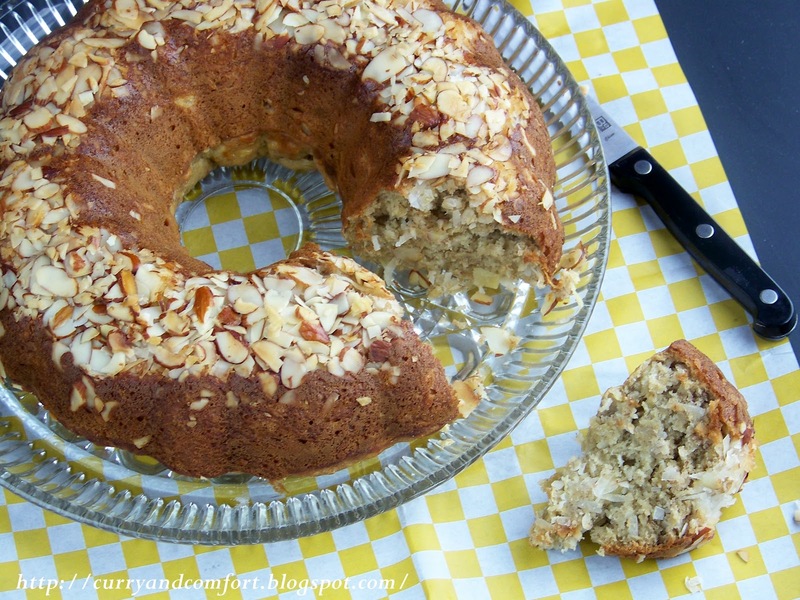 I make a Tropical Banana bread that is very similar to this...I one a blue ribbon at the fair with the recipe :-) Yours sound like a winner, too! You're such a tease! You know how much I like bundt cakes! Now send me a slice, soon. 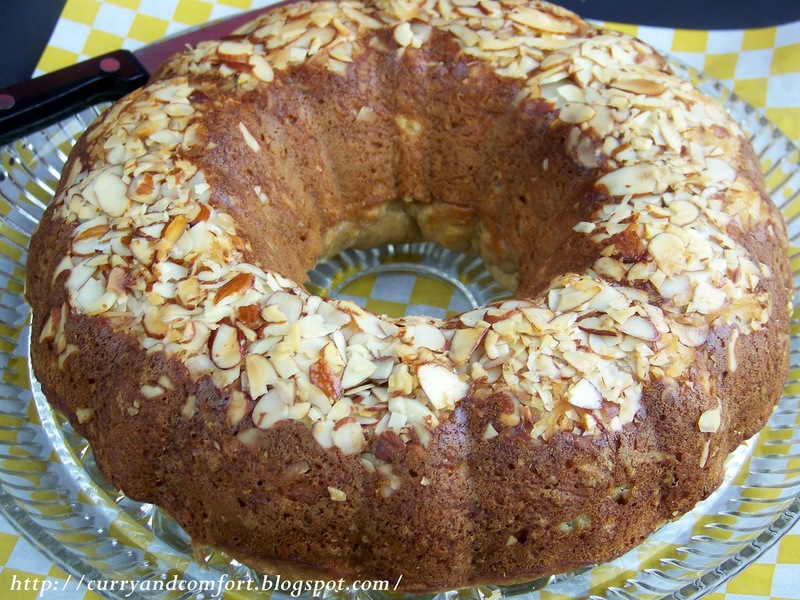 I JUST MADE THIS RECIPE WITH A LITTLE CHANGES..I USED 3 FRESH CRUSHED PEACHES INSTEAD OF PINEAPPLE AND ELIMINATED THE PINEAPPLE JUICE AND NUTS (ALLERGIC)MY FAMILY LOVED THE COMBINATION..MY HUSBAND HAD 3 PIECES..IT WAS MOIST AND DELICIOUS..